I hate the flu. Because of this, I’ve done everything humanly possible to avoid it whilst almost everyone I know are beaten down by it. I’ve been successful this year, until last night. 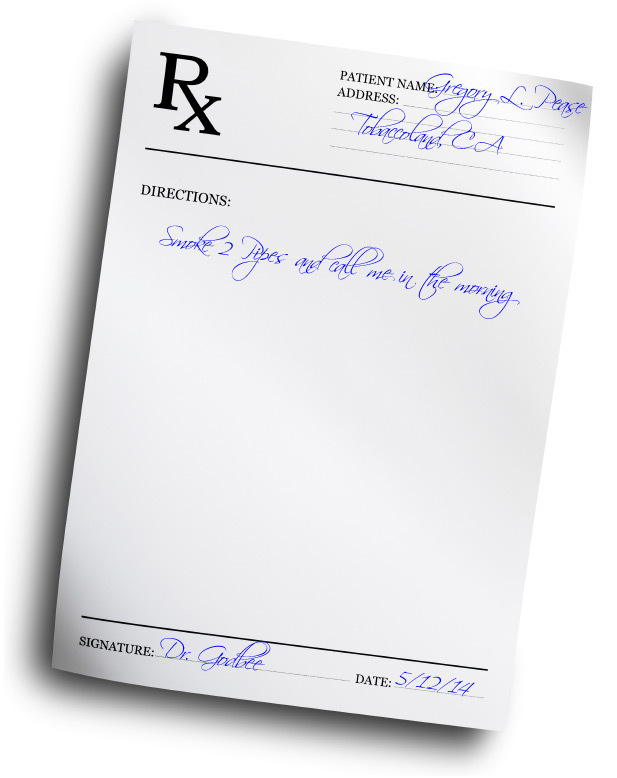 It started out as what I thought was just a really bad attack of hayfever. Then, it hit. The aches, the chills, the coughing, a throat that feels like a field of golf balls had sprouted in it, the relentless hammering that makes a head feel as though it’s been attached to the wrong end of a pile-driver, not that there’s a right end, and finally, the feeling that the not entirely unwelcome spectre of death may be lurking alongside a werewolf of London just outside the kitchen door, better not let him in. So stricken, I figured it’s the perfect time to write a column. Consider this a disclaimer. Either the following paragraphs will be fueled by feverish hallucination, and therefore entertaining, or it’ll be cranky and irritable, and therefore entertaining, or it’ll be completely random, and not entertaining at all. I guess we’ll know by the time we reach the other end, assuming I survive to finish it. 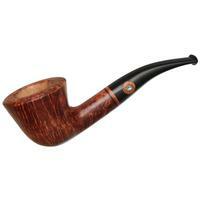 JJ asks about “complexity” in pipe tobacco blends: While I enjoy all genres of pipe tobacco, my favorite mixtures are those that fall under the heading of “English” blends. Within that category, the ones that I love the most are those that exhibit both sweetness and complexity. Hence, my favorite blend of all time is most likely Odyssey (I know many don’t detect any complexity in Odyssey, but I actually pick up a lot of flavors that dance in and out of the smoke over the course of a bowl). In any case, my question is: How do you achieve complexity? 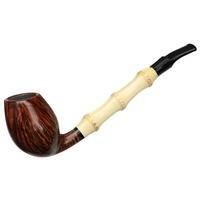 Is it the result of including several tobaccos with differing characteristics? Is it a property that is primarily produced through the use of oriental varieties? Or, perhaps, is it the presence of high quality virginias? Is it all of the above? My own blending experiments have led to more confusion that clarity, I’m afraid. What do you add (or perhaps subtract) if you want to add more complexity to a mixture? A: Complexity is an interesting characteristic, and one that’s difficult to pin down. Generally, when we talk about a mixture having “complexity,” we’re talking about the interplay of potentially disparate flavor and aroma elements that somehow manage to come together in a way that’s harmonious. For instance, if you’re dealing with a virginia base, where sweetness tends to dominate, the slightly tart, nutty edge of an oriental, or the smoky, bittersweet, somewhat astringent twang of Cypriot latakia can, in the right amount, add interest and depth to the mixture, but, there’s more to complexity than that. In a sense, it’s the imbalance of the elements that conspires to make things really interesting, but only if things don’t go too far afield. Just as in a fine wine the addition through barrel aging of a little oak character can increase the interestingness of the finished wine, too much exposure to the oak can make it taste like munching on wood chips. Another risk of chasing this elusive quality is that a mixture can lose its focus, become muddled, confused, lacking in identity. Sometimes, less can be more, and conversely, more can be less. I remember preparing a very elaborate recipe once that just didn’t deliver the goodness. There was nothing really wrong with the combination of flavors, but there was so much going on that it wasn’t really enjoyable. The complexity got in the way of the enjoyment. So, there’s really no rote formula for adding complexity to a tobacco mixture, as it will depend on the qualities of the blend, where you want it to go, what elements you want to enhance, or perhaps subdue. A different grade of virginia, for instance, might be the ticket, or a pinch of perique, or even a bit of burley. I think starting with a limited palette of blending components is a good place to start, expanding it to bring in other elements as you become more familiar with the way just a few tobaccos interact with one another. From some guy claiming to be called Dabney Skrillex - seriously, feverish or not, I couldn’t make this stuff up: Greg, how does inspiration come to you for developing new blends? Do you get an idea in the shower and try to remember it by the time you are dried off? Do you receive some leaf samples that inspire you? What are the different impetuses for a new blend to begin development in your hands? Is it a steady process with specific steps each time, or does it evolve during development? How long does the process take from idea to product on the shelf? A: You sure do ask a lot of questions for a guy from New Jersey. (How did I know?) Inspiration can come from any directions providing we are open to it. My first blends came about as a result of wanting something I wasn’t finding in commercial products. I had this idea that a certain combination of tastes would be interesting, and so set about trying to create that. Things haven’t changed much since then, really. Sometimes it will be the memory of a great smoke from the past that I want to conjure, or just some wild idea, one of those “what if?” things. Sometimes, I’ll be traveling down the winding road to a blend, when I’ll get distracted by some shiny object glistening in the sun along the way, or maybe just a little bustling in the hedgerows (don’t be alarmed now). I’ll either make some notes to revisit later, or just wander absent-mindedly down the new path. And, yes, leaf samples can be very inspirational, but they’re often frustrating, as well. I remember working with this magnificent Brazilian leaf I’d been sent by the grower. I worked to make a blend with it, and was really happy with the results. Unfortunately, we could not negotiate a price that was even close to workable, so the blend never came to market. In the end, inspiration is where we find it. Rutherford Dangbee writes: (Wait a minute. Seriously? Dangbee? I’m starting to think Kevin is punking me.) I absolutely love Maltese Falcon, but that has nothing to do with my question. 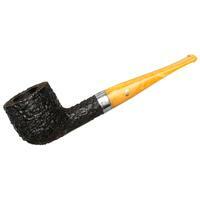 Some people swear by using extra virgin olive oil on the exterior of their pipes to keep them nice and shiny. Others say that this is a bad thing because the olive oil can become rancid. Is it ok to use EVOO on your pipes? Are there other options? 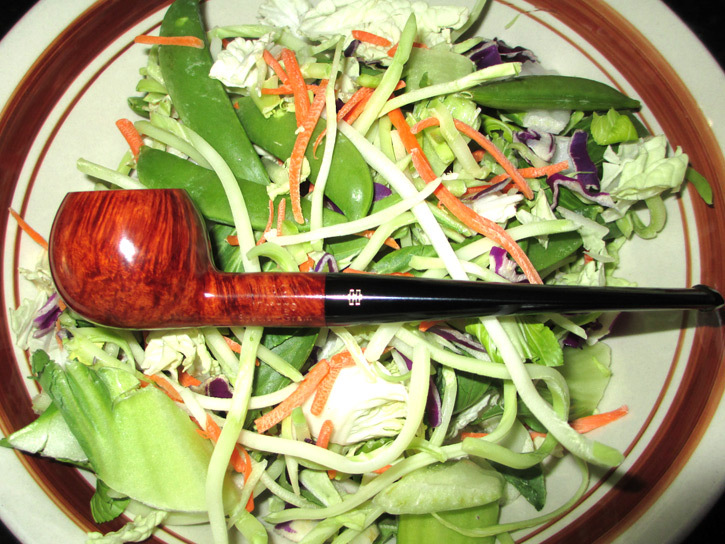 A: Olive oil belongs on vegetables, carnuba wax belongs on pipes. I’m not sure rancidity is really an issue, but having an oily pipe accumulating grime and grit doesn’t seem too appealing to me. 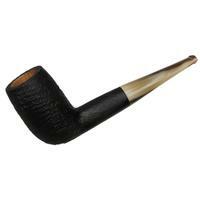 And, there really shouldn’t be much need to do anything to the surface of the briar other than to rub it with the “soft cloth” ubiquitously mentioned on the back label of every polishing product known to man. (Does anyone really grab a rough cloth to polish their spectacles or wax their car? Is common sense really dead? Are my shoes walking out of the room under their own power? These and other questions will not be addressed here. If you want those answers, please enter “rhetorical question” into Google’s search bar. And “feverish hallucinations.”) The problem with olive oil, or the “Nozoil” shine that some people apply to their pipes (google it) is that the surface will tend to accumulate schmutz, which over time will make the pipe shiny but grimy and drab. It’ll require a good cleaning, and waxing to bring its grain and lustre back. Three are products on the market specifically made for polishing pipes, but perhaps the most economical and readily available option is Renaissance Wax. This is a micro-crystalline wax formulated originally at the British Museum’s curation laboratory, and now produced by Picreator Enterprises, Ltd. It will also help to prevent tarnish on sliver bands, and may even minimise discoloration of vulcanite mouthpieces, though it won’t remove it. And, yes, you’ll need a soft cloth. Save the EVOO for your salads. From John: Orientals are generally lumped together as a group. The few individual tobaccos I hear about are Latakia and Smyrna, both of which I enjoy in blends. Are there any other varietals that have a distinct taste that we should look out for as having a unique taste? A: That’s quite a tin of worms you’ve opened, and it would take pages to address the subject fully, but I’ll do my best to provide some sort of meaningful synopsis. Different types of oriental tobaccos are grown in a variety of regions, and their unique characteristics will be determined both by the tobacco’s genotypic nature and the conditions under which its grown. Just as virginia tobacco grown in Africa will result in a product that will be very different from the same strain grown in Virginia, an izmir leaf grown in Bulgaria will be different from the same seed grown in Izmir, Turkey, known as Smyrna in Latin, from which it gets its name. And, the fact that some use the Latin names, and others the Greek or Turkish names for the same tobaccos adds to the overall confusion. The sad fact is that it’s very difficult to get single strains of oriental leaf in the quantities we need for the tiny pipe tobacco market. Most of the farmers will contract with the big cigarette tobacco brokers, and their varietal leaf ends up in a sort of homogenous product simply known as “oriental” tobacco, or sometimes “Turkish,” despite the fact that much of the leaf is grown in Greece, Bulgaria, Macedonia, and so on. It’s easy enough to get this in steady supply, and it’s relatively consistent, so we try to be happy with what we have, whilst simultaneously dreaming of a day when all the myriad varietals will rain down upon us like a relentless shower of Tetris pieces. It ain’t gonna happen. Once in a while, though, a few bales of something really interesting fall off a camel drawn wagon, and finds its way into the pipe tobacco market, a flea on the back of vast cigarette empire. We all jump for joy, make blends with it, and then immediately start wondering what we’ll do when it runs out, hoping that something equally exciting will come along to replace it. Despite the promises of leaf suppliers, it’s a constant search and rescue mission to keep oriental tobaccos in stock in the grades we want. So, yes, there are many wonderful oriental tobaccos. Most of them we will never see, other than blended into cigarettes, which makes me cranky (see opening paragraphs) because it’s like buying the finest grapes from Burgundy, and blending them into something that will end up on convenience store shelves as Mad Dog, to be drunk by disheveled skid row urchins on the street corner from a paper sack-wrapped bottle, which fortunately only happens in my feverish hallucinations (ibid). Richard pens: Another manufacturer recently claimed that their new Latakia flake has less casing than others on the market, and that the others are also topped. I was under the impression that your Latakia flakes are neither cased nor topped. Did I miss something? Also, do you know anything about this mysterious “special” Macedonian tobacco? Can you share any secrets, here? A: No secrets, really. It’s nonsense. Quiet Nights, for example, is neither cased nor topped. For that matter, neither are Union Square, Fillmore or Embarcadero, though these aren’t Latakia flakes. This is one of the reasons my flakes tend to be a little looser than many of the others on the market, but I’ve generally chosen to blend in a more au naturel style, letting the true taste of the tobaccos come through without interference from added sugars and sauces. 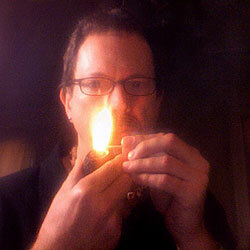 Gaslight, though a plug, not a flake, is also not sauced, and neither are the other plugs in my range. 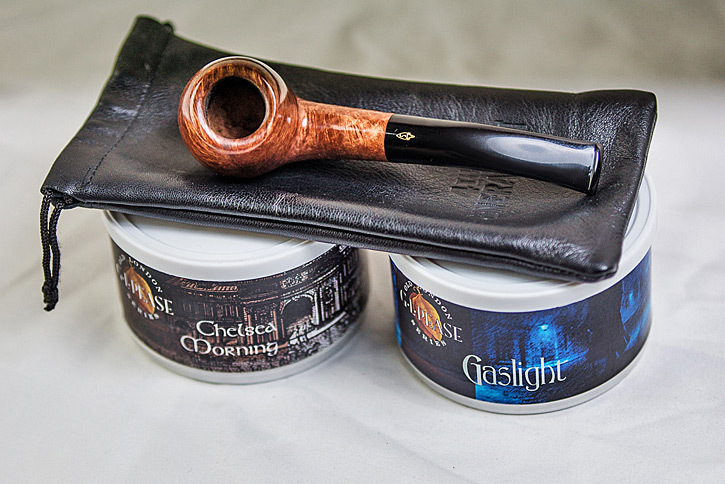 The only other flake I currently produce with Latakia is Sextant, which is flavored with a little rum, as indicated in the description, but is otherwise not cased. As for the mysterious Macedonian tobacco, we’ve had it in the house for months, and so has another manufacturer, though I probably shouldn’t tell tales out of school. It really is wonderful stuff, and I suspect you’ll be seeing it featured in more blends over the coming months. In a related question, Dougger wants to know: Lately, I have been experimenting with whole leaf tobaccos. I cut the leaves loosely and intend to press them into cakes. I have two questions 1) I case them with molasses and distilled water, but it’s making the tobacco (especially my burley) burn very hot; is there a way to correct this? Am I using too much molasses? And, 2) How humid should my loose cut blend be before I press it? I would like to form a sturdy cake that won’t fall apart, but will still develop flavour. I look forward to your response and I would appreciate any extra advice. A: Without knowing the proportions you’re using, or how you’re applying the casing, it’s hard to say what might be going on. Sugars, in small amounts, can sometimes tame the “heat,” but the opposite effect is also possible, resulting in a tobacco that stings like a mouth full of angry yellow jackets. Finding the right balance is part of the blender’s art, and there’s no hard and fast rule to follow, here. Keep detailed notes. Try less. Try more. See how the percentage of molasses you use affects the overall profile. Also, keep in mind that if you’re blending very sweet virginias with the burleys, you might already be getting sufficient sugar in the mix. Your notebook will become your best friend as you pursue this adventure. Unfortunately, unless you have access to the necessary analytical equipment, the sugar content of your component leaf is an unknown, so you’ll have to wing it. Molasses typically has a sugar content of about 50%, consisting of sucrose, glucose and fructose, so take that into consideration in your calculations. As far as moisture is concerned, you want to keep the leaf’s water content somewhere in the range of 15-18% by weight. Much more than that, and you risk mold and bacterial bloom; much less, and the tobaccos won’t respond well to the pressing. It takes a great deal of pressure (tons per square inch) and significant time to form a solid cake; tobacco has a “memory” so don’t be in a hurry to un-mold it. The longer you can leave it, the greater the probability of getting a nice solid block to work with. The most important piece of advice I can offer is to enjoy the experiments. And, keep us informed as you progress. That’s it for this month. 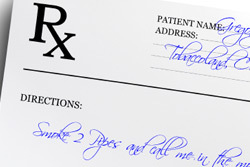 I’m going to root through the medicine chest for appropriate drugs, and go back to bed. I’m sure I’ll be better before next month. In the meanwhile, keep those cards and letters coming. A tough series of questioned. 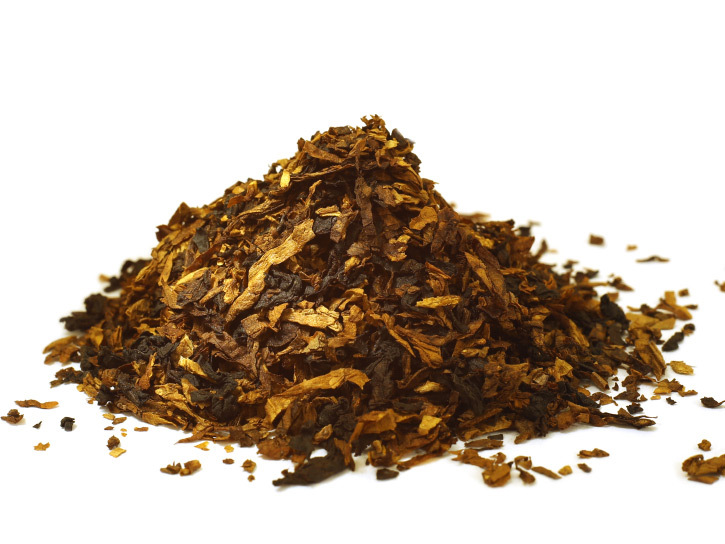 Most of the guys I know who like to blend tobacco basically take existing tobaccos and throw them together in some sort of ad hoc ratio and call it a new blend. Sometimes these mixtures turn out very well, sometimes not. Thanks for another good read. There wasn’t much here that I’m interested in knowing, but the entertainment value was still pretty high. The EVOO part was funny, and the accompanying illustration cracks me up! Great read once again! Maybe this sounds a bit weird or gross, but my skin is pretty oily from itself. 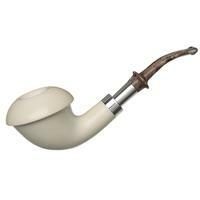 So when I have cleaned a pipe after smoking I always rub it against my head to make it shiny again. Arno - Nozoil. Look it up. There was a whole cult following to this “mysterious” product at one point in the recent history. The problem with oils of any kind is that grime will accumulate over time. I can’t tell you how many pipes I’ve restored that actually had grain lurking beneath layers of caked on grime and facial oils. KCG, I always encourage people to play with blending. Only then will they discover just how tricky the art can be. Cortez, you can thank Kevin for the photos. He always seems to have a good time with them. Thanks for responding to my question about complexity. I figured that was probably the answer, but I wanted your thoughts on the matter, as so many of your blends are exemplars of complexity. Great column, as always!